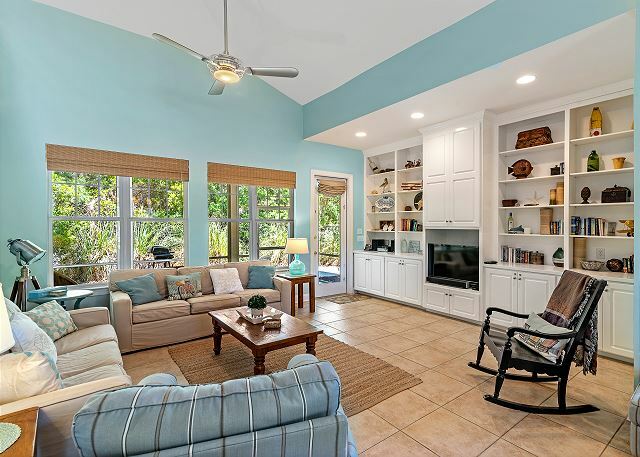 This spacious three story five bedroom, four full bath beach house offers over 3,300 square feet of living space, four porches, crow's nest, and a convenient one car garage with electric golf cart. This spacious three story five bedroom, four full bath beach house offers over 3,300 square feet of living space, four porches, and a crow’s nest. This unique one story two bedroom, 2 bath cottage (duplex) is designer decorated and offers over 1,400 square feet of living space and a wrap-around deck plus outside shower. No worries, be carefree in this adorable one story two bedroom, 2 bath cottage (duplex) offers over 1,300 square feet of living space and comfortable porch. This charming two story, 2 bedroom and 2-1/2 bath Villa offers close to 1,591 square feet of living space, two porches, a balcony, and a convenient one car garage complete with golf cart. This cozy and unique two-story three bedroom, 2½-bath beach cottage (duplex) offers over 1,750 square feet of comfortable living space and a wrap- around porch. French for “Beacon of Light,” this unique two-story three bedroom, 2½-bath beach cottage (duplex) offers over 1,700 square feet of comfortable living space and a spacious wraparound porch. This unique two story three bedroom, 2 1/2 bath cottage (duplex) offers over 1,700 square feet of living space and spacious porch. 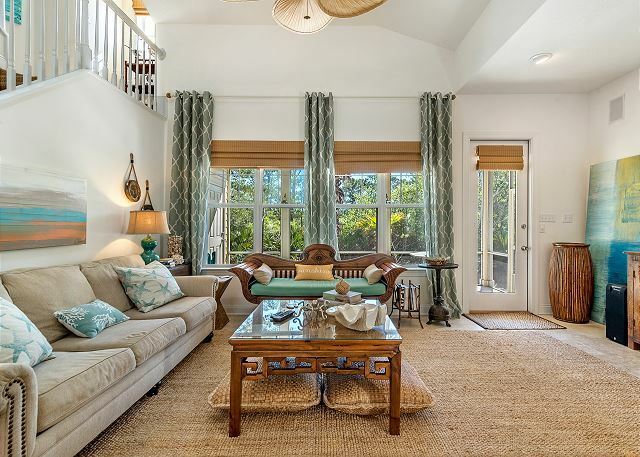 This unique two story three bedroom, 2½ bath beach cottage (duplex) will truly give you that island retreat feel. 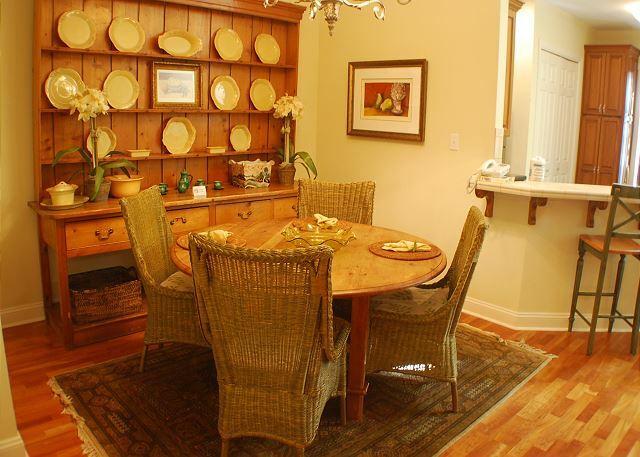 It is beautifully decorated with original artwork and one of a kind furniture. Walk directly from the patio to the beautiful beaches of the Gulf of Mexico! 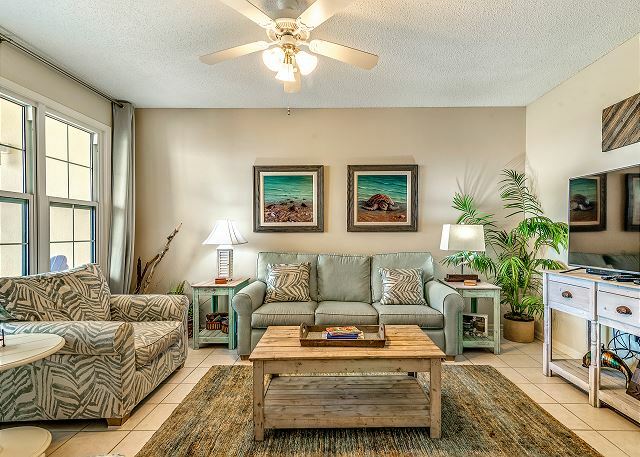 This comfortably furnished and professionally decorated two bedroom, two bath ground floor condominium offers beautiful views of the Gulf from the master bedroom and living area.